Konstantinos Kontos is the founder of Physioactive clinic in Athens. He studied physiotherapy at Semmelweis Medical University in Budapest (1996-2000). In August 2000 he recognized his degree in Greece and since then he holds a license of practice the physiotherapy profession. From October 2000 until June 2002 – during his military service – he worked as physiotherapist at 251 Air Force General Hospital (Orthopedic Ward) and at 111 Combat Wing (Medical Department – Physiotherapy Clinic). In December 2003 he completed his postgraduate studies in Musculoskeletal and Sports Physiotherapy (MSc) at the University of South Australia in Adelaide. He didn’t choose the field of his specialization at random, since for many years sports played an important role in his life. For more than 10 years he was training and competing in boxing with significant success in both Hungary (during his studies) and in Greece (3rd place in Greek Nationals in 2002). From February 2004 until December 2008 he worked in United Kingdom in both private physiotherapy clinics and hospitals/health centers, which were part of the National Health System (NHS). In all these occasions he always exercised his expertise as a musculoskeletal physiotherapist. At the same time he continued his training by attending and participating in seminars and courses (see also, The Studio Pilates for Rehabilitation). In addition, he participated in national (England) and international congresses. In the beginning of 2008 he returned to Athens and worked as Superintended Physiotherapist at the rehabilitation centre “Filoktitis”. 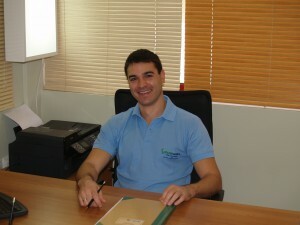 In September 2009 he founded Physioactive physiotherapy clinic. He is currently physiotherapist of the Greek National Kickboxing Team; physiotherapist of the largest and most recognisable Kickboxing and Boxing Club in Greece “Fighters”; as well as recognised and contact physiotherapist in Greece for the members of Women Tennis Association (WTA). Furthermore, he collaborates with many sport clubs and athletes in individual sports.